TopFoto is an independent picture library, based 45 minutes south of London in Edenbridge, Kent. Living up to its motto “the imagery of nearly everything”, TopFoto’s archive contains 10 million images from medieval documents to today’s digital files, stemming from all over the world. The core of the hardcopy archive comprises of 120.000 negatives from John Topham (photographer and TopFoto’s founder) plus millions of negatives and hardcopy prints from a variety of historic press agencies that have been collected since 1975 by the current owner, Alan Smith. TopFoto supplies primarily editorial content toclients, but its pictures are reproduced in all other areas of visual publication as well. TopFoto has been a pioneer in implementing new technologies, such as digitization and electronic image transfer, and has formed close links to partners in over 40 countries around the world. img. 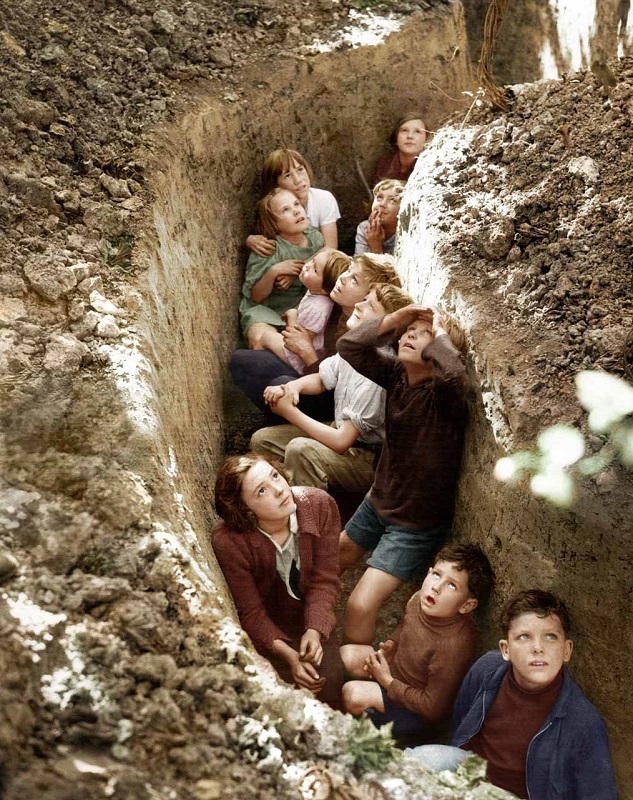 Children huddling in a ditch in the Kent hop fields, as war rages above in an air battle, 1940 © John Topham / TopFoto.co.uk.